ca 550 - 530 B.C. Side A: The departure of Triptolemus (see other image). 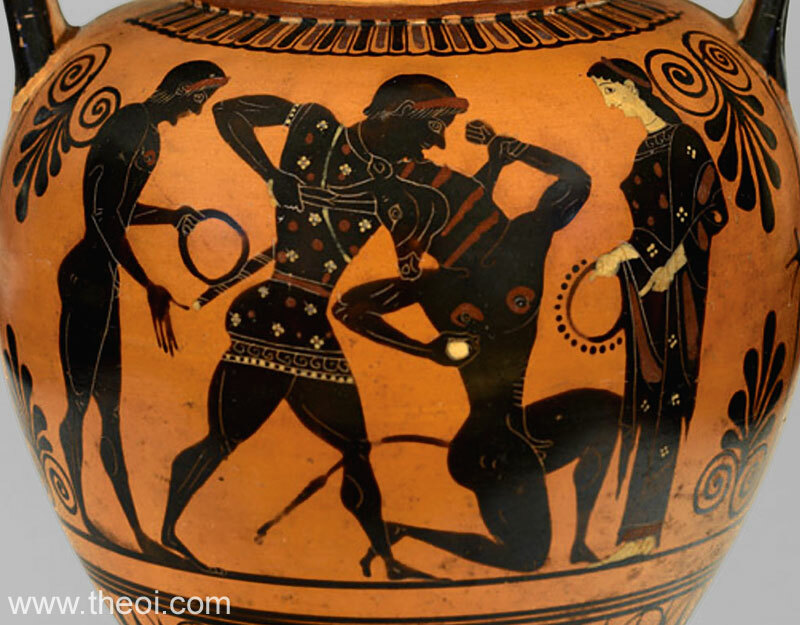 Side B: Theseus grabs the bull-headed Minotaur by the arm as he drives a sword into its neck. The pair of combatants are surrounded by the sacrificial youths and maidens (not shown).